Nokia is all set to enter Indian shore with Nokia 3,5 & 6 on June 13. HMD Global owned Nokia is all set to enter the Indian market back with its all new series of smartphones from Nokia 3,5 & 6.It is set to launch its devices on June 13 officially in India. 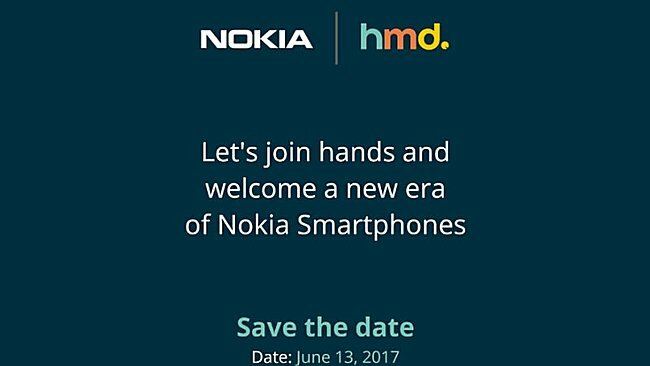 As we all know even Nokia has started rolling out ads on all popular TV channels in India and even there are media invites sent out by HMD Global which is scheduled on June 13 at Delhi,India.As of now there are no updates regarding the pricing info. As per some rumours the Nokia 3 will be priced at Rs.9,990/-,Nokia 5 at Rs.12,990/- and Nokia 6 at Rs.15,990/-.All the three devices pre orders starts from June 20. We have to wait for the official announcement for more details of exact pricing and availability. Previous articleXiaomi Mi Notebook Air 13.3 inch spotted on Jingdong.